This machine can shift milled rice efficiently and accurately into several classes: head rice, large broken. medium broken, small broken, and etc.Suitable for 150-180TPD rice mill and large rice milling factories. 1. 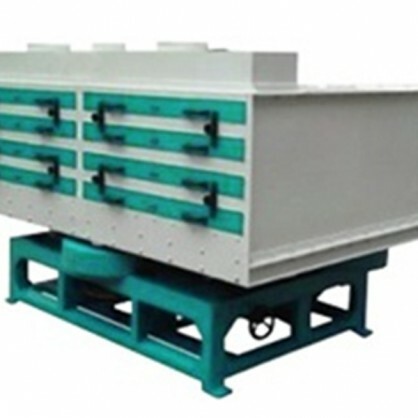 We have double body four trays and five trays models. and blower type.Features :Accurate and efficient sifiing; Easy selection of sieve size ;Completely sealed sieve frame. 2. Newly developed product by absorbing advanced technology worldwide. 3. Elegant and stable framework and an air-tight sieve hung for 4 slings. 4. The grader has a unique track if movement, efficient in grading. 5. Use rubber cover for 4 outlet, easy to clean and easy to maintenance.